Matt and Grace Huang, the American couple accused and convicted by the government of Qatar of starving their 8-year-old daughter, will be allowed to leave the country after an appeal judge dismissed their conviction. The couple was held at the airport and unable to leave the country even after the judge dismissed the conviction on Sunday. 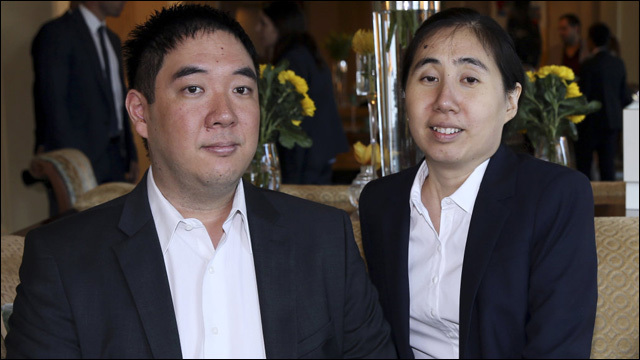 But according to a statement from the State Department, the travel ban has been lifted as of Wednesday and the Huangs will finally be free to return home to the United States. Update: just informed by GoQ that all requirements met, no further appeal, travel ban to be lifted. Huangs can go tomorrow. Accused of abuse and human trafficking -- prosecutors were apparently unable to grasp why an Asian American couple could possibly want African children, except for nefarious purposes -- the Huangs were found guilty and sentenced to three years in prison for the tragic death of their adopted daughter. But the case against them, from the outset, has been characterized by almost all parties as a gross miscarriage of justice. It's a relief to hear that the Huangs will finally be able to return home and be reunited with their family after this nightmare ordeal. A spokesman for their family implored the State Department to "keep up any necessary pressure to ensure Matt and Grace are able to depart tomorrow."